The Mid-American Conference is a large and very competitive group of teams. The seven members that comprise the conference all finished 2018 ranked between Nos. 29 and 47. These squads are losing some big names in 2019, but there are a number of talented freshmen joining the ranks. Expect the MAC to be as competitive as ever in 2019. CMU is losing some of its strongest performers from 2018, but Macey Hilliker will be back for a redshirt season after missing most of the year with injury. Her return, along with a crop of three strong freshmen, including J.O. national qualifier Sierra Demarinis and Canadian nationals qualifier Morgan Tong, should give the Chippewas the tools for a successful 2019. CMU is lost two of its top vaulters from 2018, but the freshmen bring a trio of useful Yurchenkos. Demarinis is the strongest of the group, with a stickable full that scored very well in J.O. Tong’s half is solid and should see lineup time. It appears that Alaina Kosto has only competed a Yurchenko layout, but she has trained a half, showing strong body position in the air. Assuming she has continued working the new vault, she could vie for a lineup spot as well. Bars was a strength for the Chippewas in 2018 and should continue to be so this year with most of the lineup returning. However, it is a weakness for the incoming class. Demarinis is the only one of the trio with an up-to-the-level set, but she struggles with form and consistency. Kosto brings a big Tkatchev, but would need to clean details and upgrade her dismount to be lineup-ready. Tong would also need an upgraded dismount, but her set is the cleanest of the three and features a tidy Gienger + bail combination. Just about everyone on the CMU roster tried out beam in 2018, and many of them may pop in and out of the lineup this year. Of the newcomers, Demarinis and Kosto were both inconsistent in J.O. but bring the pieces of solid college sets. Kosto in particular has a high scoring potential with a hit; her routine features a strong side aerial + back handspring + split jump combination. Tong’s routine is strong, with a lovely press to front walkover mount and good fluidity. She will certainly challenge for a lineup spot. Hilliker’s return will be a big boost to the Chippewas’ floor lineup, though the returners are strong here as well. Demarinis shines on the event, with a high Arabian double and great precision throughout her acrobatic elements.Tong also excels, showing dynamic dance a strong tumbling that should do well in college. Both should challenge for lineup spots. The Chippewas are losing some stars, but the incoming class brings strengths that should help keep CMU on track for another strong year in 2019. Expect to see Demarinis make an impact on vault and floor right off the bat and Tong to push for the bars, beam and floor lineups. Kosto will be a viable backup option across all four and could push for a spot on bars and beam. With the departure of a high-achieving senior class, Kent State loses some significant routines this season, particularly those of all around standout Rachel Stypinski. A large and versatile group of freshmen should fill some of those gaps, but a lot will need to be done to improve upon last season’s success. The Golden Flashes will look to improve after last year’s vault performance, which saw no gymnast with an RQS over 9.800. Those who got close, namely Abby Fletcher and Sarah McCarty, will likely lead the lineup this year. Camryn Klein brings arguably the best vault of the newcomers with a clean Yurchenko full, and Elizabeth Fulton’s unique handspring front tuck-half could also boost the lineup. All four seniors were key bar workers last season, making that event the most depleted of Kent State’s lineups this year. Luckily, the freshman class brings plenty of options to replace them; Katelyn Arnett’s and Fulton’s could be the most attractive choices, each boasting a floaty Jaeger and Fulton a double layout dismount. Madison Iannuzzi and Camryn Klein also have the potential to crack the lineup with their great lines and high releases. Another lineup decimated by the loss of seniors, beam will need to rely heavily on freshmen to ensure a continuation of good scores. Fulton seems to be a great choice with her solid acro series and standing back tuck. In addition, Samantha Henry has a clean set with great leap positions. Kendra Lindway and Klein have some form issues but overall solid sets that could also serve as viable backups. The returners bring some great floor work to bolster this year’s lineups, but the freshmen have plenty of viable options as well. Fulton opens her routine with a textbook front double tuck that will score well in college. Most of the other freshmen bring routines with lower difficulty but solid execution that will bolster the lineups as well; Klein and Lindway in particular have great tumbling, and Arnett shows excellent leaps. The Golden Flashes will need to make significant strides this year to ensure their lineups are in tip-top shape in the absence of last year’s high scorers. 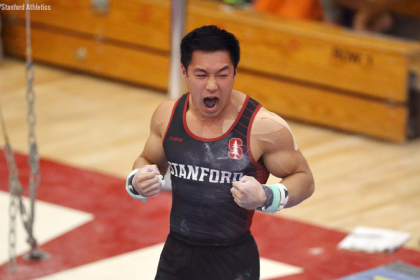 Though many all arounders make up the freshman class, it’s evident their strengths lie in bars and beam, which will likely see a huge boost from most of them. Kent State as a whole has the potential to improve this year; after last year’s 34th place finish barely qualified it to regionals, it will be interesting to see its fate in the new postseason format. The Falcons are losing some stars in 2019, as well as some depth to transfers. A sizeable and talented incoming class, as well as the return of Randi Morris and Taylor Worthington from injury, should help Bowling Green find success this year. The Falcons could put up a solid lineup without any vaults from the incoming class, especially with Morris and Worthington back in the mix. That said, three of the freshmen bring solid Yurchenko fulls to Bowling Green. Katelyn Goldstrom and Kallie Grochowski have tidy fulls and have also trained the one and a half. Tess Muir’s full is the most dynamic of the three, and seems the most likely to challenge returning gymnasts. Bowling Green has many strong returning routines on bars, as well as a few fun new options to explore. Anna-Maria Kanyai has shown training sets that include a Shang (piked Hindorff) + Pak to Khorkina (true Shaposhnikova half). If she competes it, that will be one of the most difficult routines in the NCAA. Muir has nice lines and tidy form for the most part; with updated composition for college, her set could also play a role. Grochowski has a nice piked Jaeger + bail routine, but she’ll need to clean form and perfect handstands to make the lineup. Golstrom needs some cleaning as well but brings a giant full + Gienger, strong Pak and a double Arabian dismount. Junior Katie Morsefield, who previously only competed vault, has also shown bars training, working a solid double layout. Beam is where the Falcons are losing the most star power in 2019. Having Worthington back in the lineup will help, but they need at least one lineup-ready routine from the freshmen. That spot is most likely to be taken by Muir, who boasts exciting skills like a back handspring + one armed back handspring + layout stepout, punch front and cat leap to switch side half. Grochowski and Bachner both struggle with consistency but bring the foundation of solid beam sets and could be threats if they prove they can stay on the beam. Bowling Green is losing floor depth this year; Morris’ return should factor in here. Muir is again the most likely option with a big double layout and strong leaps, including a Popa with full rotation. Bachner is a solid front tumbler and has good split positions; she could break into the lineup too. Grochowski’s tidy tumbling is also a good option. The Falcons are well positioned to pick up where they left off after 2018. Muir seems like a possible freshman all arounder right off the bat, and Kanyai has the makings of a college bars star. With possible 10.0 vaults from Grochowski and Goldstrom as well, this is a strong crop of newcomers. In terms of filling lineups, Northern Illinois has a lot of work to do: 10 postseason routines and two reliable all arounders need to be replaced. This freshman class is definitely versatile, but only time will tell whether they can bring similar numbers. The Huskies need to replace critical routines from Ashley Potts, Katherine Prentice and Andie Van Voorhis on this event, with those gymnasts making up half the postseason lineup in 2018. Though it isn’t the strongest event for the freshman class, they still bring some usable vaults that could crack the lineup. Morgan Hooper and Nicolette DiPrisco each have a Yurchenko full, and Tara Kofmehl has a textbook Yurchenko half that could easily be upgraded. Ally Ferber only competed one competitive vault in 2017, but she made multiple exhibitions throughout the season that showed she can be a backup if needed. These additions should be enough to replenish the lineup, but it’s unclear how much depth they will create. Bars is a seriously depleted lineup for Northern Illinois, with seniors eliminating critical routines and returning routines not showing an RQS above 9.800. To offer replacements, Kofmehl is a likely option with a great Jaeger and clean lines throughout her routine. DiPrisco too has a beautiful set highlighted by a piked Jaeger and an overall effortless swing. In addition, Hooper has a Gienger that could use some cleaning up but has the potential to make a great routine. Though these freshmen have solid routines, the team will also need to rely on top scoring gymnasts from last year, and even those who didn’t compete the event frequently, to add more depth; Emily Basara could do nicely with that. Though it showed considerable improvement from years past, beam still wasn’t a strong point for the Huskies last year. The freshmen will bring strong options to hopefully create more consistency. DiPrisco has an exciting set that opens with a handstand press mount and continues with strong acro and dance elements, and Morgan Hooper has a controlled punch front and a wolf turn. Kofmehl and Kelsey Martz have solid routines as well; though their form isn’t as solid as their freshman teammates, they can still provide considerable options, particularly Martz with her back tuck to side leap combo. Floor looks to be showing solid prospects for 2019, with some top-notch routines coming back and great options from freshmen likely to make an appearance as well. DiPrisco brings a great routine that shows off her excellent twisting, and she’s shown great consistency on the event in the past. Kofmehl also has a clean set with excellent leaps and control on her landings. 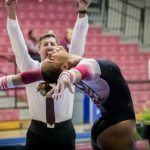 Though Ferber only competed on floor three times in the 2017 season, her high score of 9.825 (scored twice) makes her a viable option to bolster the lineup. The Huskies have various options to replace last year’s critical routines, but a lot of pieces have to fall into place to ensure they can score to the highest potential. The freshmen should provide viable options, particularly in the all around, and it will be interesting to see the ways in which they contribute to the team. It’s hard to predict Ferber’s status since she didn’t compete many routines before being injured, but the quality of her work suggests she can rise to the challenge. Ball State has been slowly but surely climbing the rankings, and last year was no exception. A solid vault lineup and consistency across the other three pieces helped the Cardinals to their best finish since 2001; they’ll look to continue climbing in 2019 on the heels of a large freshman class. The Cardinals are losing no vaults from last season, so look for this to remain their strongest event. Marissa Nychyk brings a tucked Yurchenko one and a half to Muncie that scored well in J.O. and should break the lineup. Of the incoming 9.950 starts, Maria Ramsey is the most likely to see lineup time. Her Yurchenko full is big and clean in the air, and if she can control the landing, it will do well. The freshmen struggle a bit across the board with form and consistency on bars. Sandra Elsadek brings a Tkatchev to Pak set that includes a full-twisting double back dismount, but she’ll need to clean the Tkatchev to be a really effective college score. Nychyk likewise needs some cleaning or composition changes, but her Maloney and full-twisting double back could make the lineup as well. Ramsey brings a fascinating repertoire of skills: straddle back from front grip, giant full to Tkatchev and a double pike. With some reworking for college, she’s also a lineup threat. Lauren Volpe’s set scored the best of the freshmen in J.O. and includes a giant full to Tkatchev and double layout that should translate well. The Cardinals are losing their only 9.800-plus RQS from 2018 and will be looking for a new beam star this year. Elsadek is certainly a lineup candidate, with a good presence on the beam, though she’ll need to clean her tumbling form to score well. Sari Thaler is likely to make appearances here. She has a calm, fluid set that will translate nicely to college. Marina Livelsberger and Julia Wiest both bring exciting skills but need to find consistency to break the lineup. Livelsberger boasts a front aerial to front toss, switch three quarter and a front aerial to front full dismount. Wiest brings a front toss to backhandspring and clean double full dismount. Ball State is hit hardest on floor, with only three lineup routines returning. Junior Rachel Benoit competed a handful of times and may be called on to step in. Wiest and Nychyk both bring well-performed routines featuring front double fulls and are strong lineup candidates. Elsadek and Thaler both have strong performance quality in their double pike sets that will translate well to college choreography. 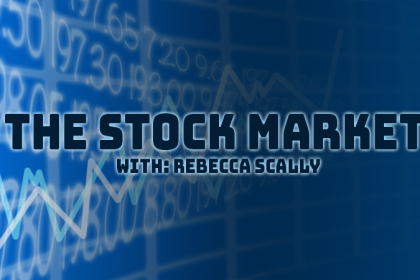 Thaler in particular is a graceful performer with obvious dance training. This big freshman squad brings a lot of potential to Ball State. With several athletes who could become vital three event performers, the fight for lineups will be tough. Look for the Cardinals to gain strength on floor especially, despite losing so many routines on the event. Western Michigan had a season full of ups and downs in 2018, reaching team scores between the low 192s to a high of 196.075. Despite losing eight postseason routines, another large freshman class will bring plenty of options to replenish the Broncos’ lineups after the loss of high scorers like Jessica Juncaj. WMU will likely rely on returners for the bulk of its vault lineup, with five out of six 2018 postseason vaults coming back this year. As for the freshmen, Carissa Ludwig has a clean full-twisting Yurchenko, and Shailyn St. Brice recently competed a Yurchenko half that has plenty of power to become a full. In addition, Alyssa Keller competes a unique handspring half-on. However, most of the other freshmen are on a similar page as St. Brice, competing Yurchenko layouts but working fulls. To supplement the bar lineup, the freshmen bring just the right balance between difficulty and great technique. Ludwig and St. Brice bring lovely Giengers and skyhigh double tuck dismounts; St. Brice has an especially nice swing to her set. In addition, though she has no same-bar releases, Emily Carless shows finesse and focus in her bars. Carleigh Stillwagon is also one to watch, with a slightly easier yet equally clean set that could serve in a lineup or backup capacity. In addition to mainstays like Morgan Spence and Rachael Underwood (who posted the only beam RQS over 9.800 last season), freshmen are sure to bring some impressive skills to the beam lineup. Carless’ cat leap to side aerial and switch leap to back tuck are both cool combos that are sure to impress judges, and Ludwig has a dynamic acro series. St. Brice also brings a packed set with some nice jump combos. Keller could bring a great set as well but struggled with consistency this J.O. season. With only half the postseason routines returning on this event (with impressive scores nonetheless), the freshmen have a lot of ground to make up. Ludwig and St. Brice boast the strongest double pike routines, with particular attention to their leaps; Carless brings similar prowess, which should be welcome in the lineup as, at minimum, a backup option. Cryptically, Stillwagon had an excellent whip to double pike to start her routine but hasn’t been seen competing it since 2016; if she still brings it to WMU, she should definitely be in the conversation as well. 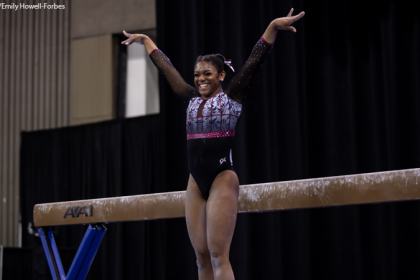 The bottom line for the Broncos this season should be the following: Many of the same gymnasts will be relied on for these lineups, and the sturdy alternates have to be ready to step up in case of disaster. Many of the freshmen are still up in the air in terms of their abilities and what skills they’re bringing to NCAA, which should make for some interesting lineups for WMU this year. Eastern Michigan had a rocky 2018 coming off two very strong seasons. The Eagles are losing a slew of routines this year, including Kendall Valentin’s important four. A sizeable freshman class, plus the return of Ciara Gresham, will assuage some of the losses, but there will be pressure on returners as well if the Eagles are going to return to the top of the conference. Having Gresham back on her best event will be a boost to this lineup. Shannon Gregory and Karalyn Roberts both bring strong full-twisting Yurchenkos to Ypsilanti that could challenge returners for lineup spots. Carly Kosanovich competed a front handspring pike (9.900 SV) in 2018; if she can add the half twist for the 10.0 start, she would also be a compelling lineup addition. The Eagles are losing half their 2018 bar routines, including the top two by RQS, making it a potentially dicey event for the team in 2019. Kosanovich has a nice Maloney, Tkatchev routine that could use some composition reworking to make it really college ready. Brooke Hylek brings nice lines to her Tkatchev set; she didn’t compete in 2018, but assuming she’s healthy, she should challenge for a spot. Megan Hultgren competed a few times last season and may also break in more permanently. Beam also lost a number of important routines, but Gresham should be back here. The newcomers have struggled on and off with consistency, but given work in that area, several routines stand out. Gregory brings a steady set that includes a front tuck and switch leap to layout stepout mixed series. Roberts has a flair to her work that will do well in college, and Caitlin Satler has a good presence and nice rhythm, as well as a layout two and a half dismount. The freshmen are strong on floor. Gregory competes a big full-in and has a solid that will do well. Kosanovich brings big amplitude and strong performance quality to her double pike set. Roberts also performs a double pike routine with dynamic flair. All three could see lineup time. EMU is losing a lot of talent in 2019, and the Eagles will need to put in work to make up for lost routines. The freshmen bring a variety of styles and talents to the table and should make an impact especially on vault and floor. 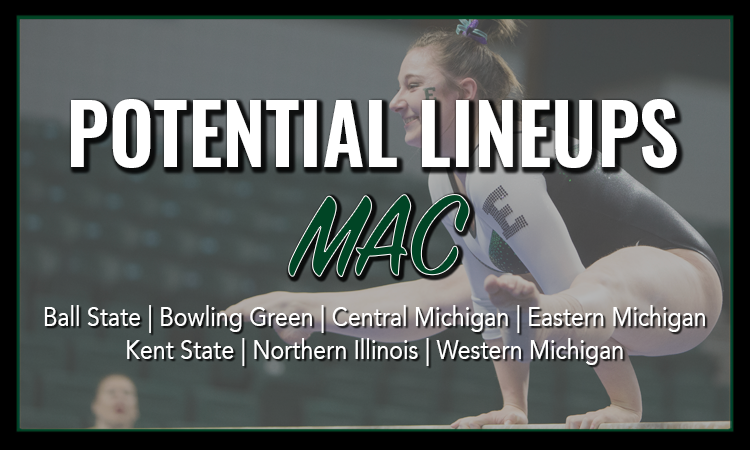 The fate of the team, though, will rest on returning gymnasts like Emili Dobronics and Gresham as EMU looks for a new leader.